Never in the Champions League history (since its new format presented in 1992) has a team won back-to-back titles. That's almost 25 years without seeing the European champions successfully defending their crown. Can Real Madrid do it this year? The club's journey began September 14th at home, against Sporting CP. 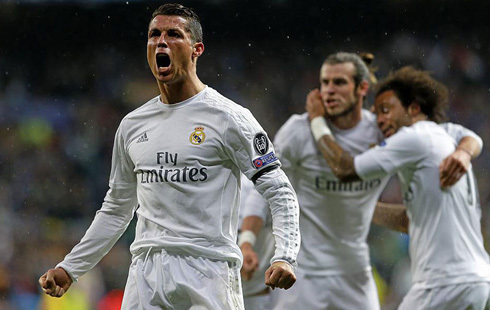 Real Madrid shocked the Portuguese club with a 2-1 comeback victory. The two sides entered the half scoreless before the Merengues fell behind 1-0 in the 48th minute. They then trailed all the way to the 89th, when Ronaldo tied things up. Eventually, they would still win the clash a minute later, thanks to a late Morata strike. Following their opening game scare, the club tied Borussia Dortmund 2-2 on September 27th. Ronaldo opened the scoring in the 17th, but a late Andre Schurrle goal in the 87th minute evened out the draw. So while the team hasn’t been a safe bet right out of the gates, their 5-1 win over Legia Warsaw on October 17th was a major step in the right direction. Given, Legia also lost to Dortmund 6-0, it's a "feel good" win for Madrid. They’ll take on Legia again for another confidence boost on November 2nd and Sporting again on the 22nd, so it's very likely they could sit atop of their group entering December. Oddsmaker topbet.eu has placed Real Madrid as leader of Group F and have put them at +550 contenders to repeat their Champions League success of last season. Zinedane Zidane's aggressive style implies that the team needs to rest their stars as often as possible to remain competitive till the end. It was well-noted heading into the Legia Warsaw matchup on October 18th. Real Madrid brought off Bale in the 64th minute of that game, but left on Ronaldo and fellow forward Karim Benzema on for the entire contest. They'll need to start sitting their starters if they want to keep their legs primed. The team's Warsaw rematch next month should be very telling for how they'll approach the rest of their season. Legia has 13 goals against and just one goal in favor, so a much needed rest for the big names should be in the cards. 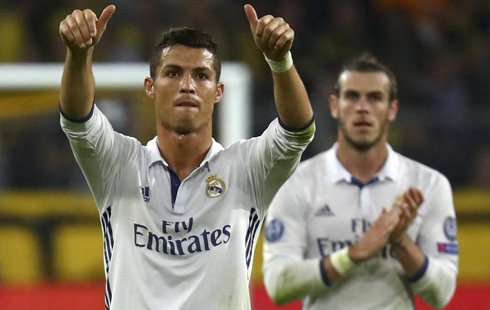 Meanwhile, Borussia Dortmund will wear down Sporting CP during week 4 of the Champions League action, just before Real Madrid meets them again, this time in the Portuguese capital, Lisbon. As for Cristiano Ronaldo's bid for his fourth Ballon d'Or, the former teammate Roberto Carlos believes it's already in the bag. It's hard to argue that as the reigning Champions League and EURO 2016 champion, Ronaldo wouldn't be the front runner. The other main contenders are his Barcelona rivals Lionel Messi, Neymar and Luis Suarez, but none of them have a comparable 2016 resume. Cristiano Ronaldo next game is a Copa Rey fixture for Real Madrid on October 26 of 2016, against Cultural Leonesa. You can watch Juventus live stream, Cultural Leonesa vs Real Madrid, Barcelona vs Espanyol, Liverpool vs Tottenham, Arsenal vs Reading, and Bayern Munchen vs Augsburg, all matches provided from our football live game pages.